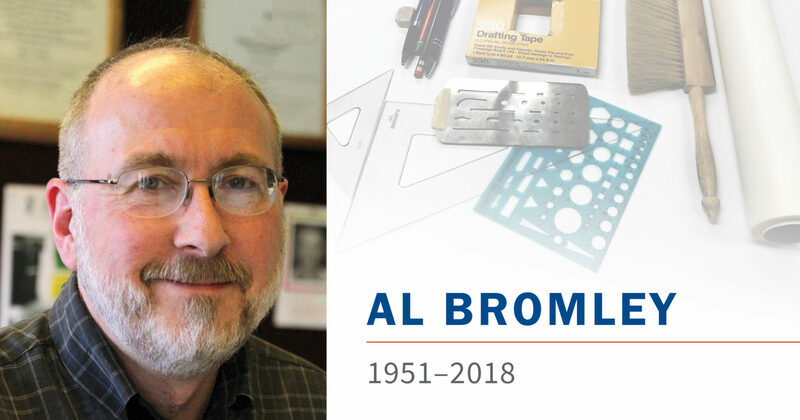 BANGOR, MAINE –(August 9, 2018) – The Board of Directors of WBRC Architects Engineers announces, with great sadness, the sudden passing of its Chief Financial Officer, Alan C. Bromley. Alan Bromley, PE, joined WBRC in 1980 and was named a principal of the company in 1987. After many years as its principal structural engineer, he helped the company move into the digital age, eventually becoming its CFO. 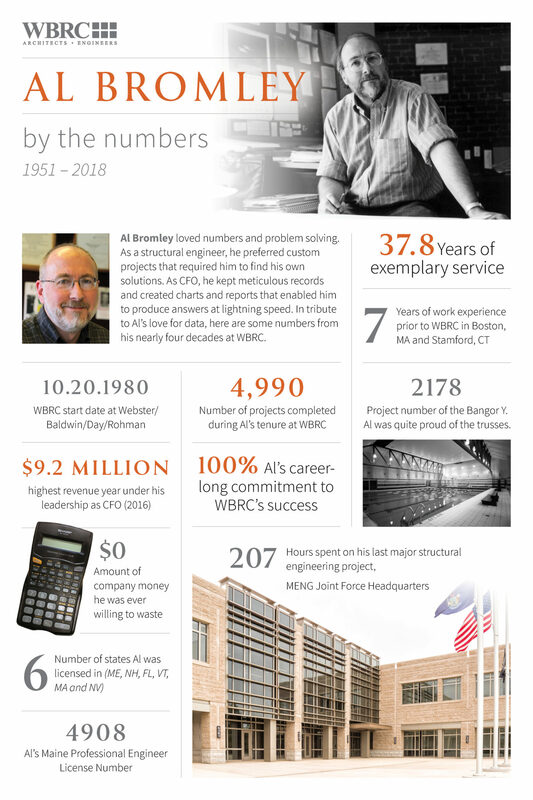 As WBRC’s Chief Financial Officer, Alan Bromley helped grow the firm from 26 to 50 employees, expand from its location in Bangor, Maine to additional offices in Lakewood Ranch, FL (2002) and Portland, ME (2007), and substantially increased its annual revenues. Rob Frank, WBRC’s Chief Business Development Officer, began working with him in 1987 as a fellow engineer. Paul Brody, WBRC’s Chief Operating Officer, worked with him daily collaborating on workload and financial forecasting. Alan C. Bromley was born in 1951 in San Juan, Puerto Rico and attended school in New York and Connecticut. He graduated from MIT in 1973, earning a B.S. in Art and Design, with a concentration in architecture and structural engineering, and completed additional studies at Northeastern University. After working for several years in Boston, MA and Stamford, CT, he joined WBRC Architects Engineers in 1980, leading the structural engineering on regional landmarks such as Webber Building III at Eastern Maine Medical Center, Penobscot County Jail, and the Shawn Walsh Hockey Center at the University of Maine. He was also the Structural Engineer of Record for Camp Chamberlain, Maine National Guard’s new Joint Force Headquarters in Augusta, which opened in June. In addition to engineering, Alan showed a talent for job tracking and workload forecasting. His skills in computer programming made him the natural person to lead the firm’s conversion to Computer Aided Drafting. He began serving as CFO in 1989. In addition to his work at WBRC, Alan Bromley brought his quiet leadership to several local organizations, including many years of service on the Holden Planning Board and Bangor Symphony Orchestra’s board of directors. He also served on two advisory councils under Maine Governors King and Baldacci and was a member of the Structural Engineers Association of Maine. In addition to being a Licensed Professional Engineer in several states, he was a LEED Accredited Professional. While Alan Bromley took great pride in his work keeping WBRC on healthy financial footing, he said one the most rewarding parts of his career was to pass by a building he had helped design. You can read his Bangor Daily News obituary here.